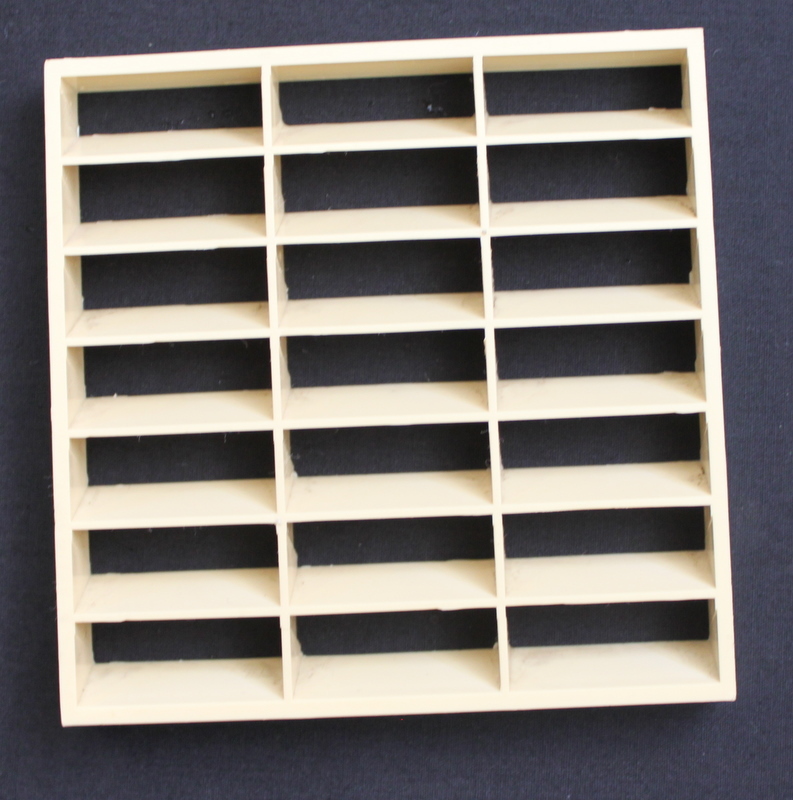 IMG grilles are 100 mm X 100 mm and manufactured from ABS plastic with a UV stabilizer. IMG grilles are used on perimeter Induction units or Fan coil unit discharges. Limited stock colors are avaiable or can be matched to customers request depending on quantity.